Select the right winter wheat variety for the late drilling slot to avoid unnecessary yield penalties Delayed or late drilling of winter wheat, considered to be from mid-October onwards, is now common practice on farms today particularly for black-grass management, in a second wheat situation and for those who are drilling wheat after sugar beet or potatoes. However, late drilling presents a unique set of challenges to the crop; soils will inevitably become cooler and wetter as winter draws in so it is important to proceed with care and consideration in order to get the crop well established. 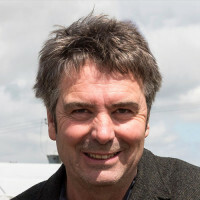 He adds that as a consequence, crops drilled later will not have been in the ground as long as those drilled earlier in the autumn, so the chosen variety needs to be quick off the blocks in the spring, once growing conditions are favourable. 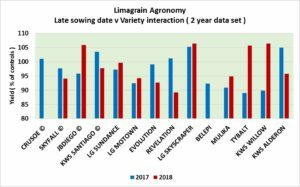 Limagrain has conducted a range of trials looking at which varieties suit the later-drilled slot and the most recent work looks at a range of winter wheat and spring wheat varieties sown in the later drilling situation after the end of October, over a two-year period. 105 % across two very different seasons. 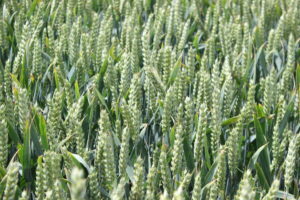 Data from several seasons of work also suggests that taller wheats, such as LG Skyscraper, are at an advantage in the later drilling scenario, because larger plant canopies also play an important role in keeping black-grass ear numbers and seed return to the minimum, says Mr Granger. 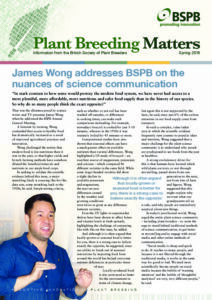 He also points out that one of the single most important factors in getting a late drilled crop off to a good start is to use the correct seed rate. He notes that later drilled varieties often have the advantage of requiring lower inputs and may not require an earlier autumn herbicide. Ron Granger recognises that spring wheat varieties do have a place in the rotation concerning late drilling, especially in a black-grass situation, but points out that the right winter wheat varieties can be grown through to the end of January without significant yield penalties. 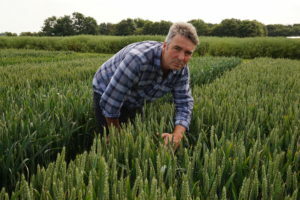 After January spring wheat varieties come into their own regarding yield performance, and should be a serious consideration if black-grass is the major threat on farm, he says. With second wheats, the added pressure from high-levels of take-all inoculum and eyespot are important to consider when choosing a variety for this very testing situation, he points out. In a second wheat situation, seed rates should be increased to allow for inevitable tiller loss from eyespot and take-all infections. In a known eyespot situation, Revelation or LG Jigsaw are well placed options as they carry the Rendezvous PcH1 gene; a secure resistance for ensuring final yield potential.